I’ve been thinking about how important quality over quantity often is when it comes to effective teaching and learning with blogging, global collaboration and technology. 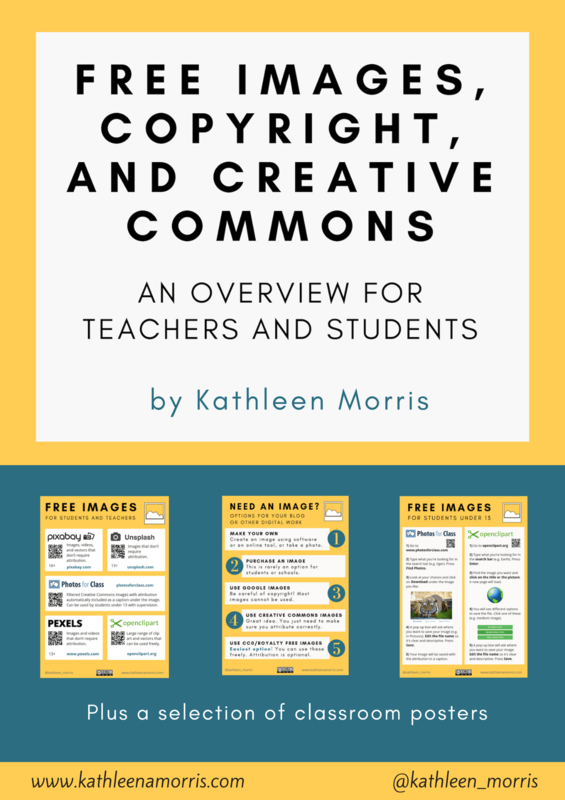 It’s not about how many blogging buddies your class has but about having deep and ongoing connections with classes that you can learn with and from. It’s not about how many Twitter followers you have but about forming connections with educators who inspire you, challenge you, share ideas and are interested in getting to know you. It’s not about how many different web 2.0 tools you use but about using tools well that meet your students learning needs and your learning intentions. 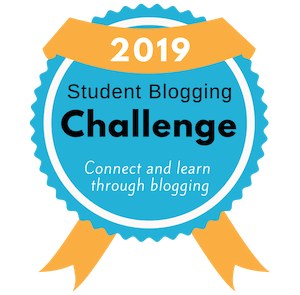 It’s not about how many student blogs you have but about developing student bloggers who are responsible, supported by families and progressively creating high quality content. It’s not about how many computers and devices you have in your classroom but about how well you’re using them to amplify your teaching and increase student learning. It’s not about how many blog comments students write but about how they use comments to reflect, question, offer feedback, make a connection or develop a relationship. It’s not about keeping up with the plethora of information flying around the internet but about finding the important, reliable and useful information that you need. Some of these things I have definitely realised over time. Enthusiasm and quantity can sometimes go hand in hand and mask the need for high quality teaching and learning. I have sometimes found that when I take time to reflect I realise the power of quality. Where else do you think quality over quantity is important in education? Sometimes quantity has a place too. Can you think of any examples? “The Great Society is a place where every child can find knowledge to enrich his mind and to enlarge his talents. . . . It is a place where the city of man serves not only the needs of the body and the demands of commerce but the desire for beauty and the hunger for community. . . . It is a place where men are more concerned with the quality of their goals than the quantity of their goods. Speech, 22 May 1964, Ann Arbor, Mich. Whether we agree with his politics or even the entire quote, the message emphasises the need for quality of goals to achieve a great society. A great education is where a child can find knowledge to enrich his/her mind and enlarge his/her talents. It’s where a teacher is more concerned with the quality of their goals and the quality of their children’s achievements than the quantity of work they present. In times of starvation, the quantity of food and water is more dominant. While highest quality foods and water are ideal, given the choice of lower quality yet enough for all has priority over feeding a few well. For quantity I might suggest the number of joyous smiles, the amount of enthralled laughter, the eagerness to learn, but again I qualified these by adding a quality to each. Quality is dominant in my thinking so perhaps I can sum it up in the final sentence. Quantity in education is most important when we think of the quantity of quality educational practices and experiences we provide our children. Oh, well, I have the quantity in my comment. Perhaps I’ll get the quality with more practise. What a great comment. I love the quotes – I think that is a nice way to describe what we like to achieve in education. I love your examples of quantity! So very true. I guess on a less exciting level there is a place for practice in the classroom where quantity is important. For example, high frequency words, times tables, typing, handwriting etc. Thanks for the thought-provoking post Kathleen. I think sometimes it’s easy to get overwhelmed by all the tools that the web has to offer that we sometimes find ourselves disengaged from the purpose. A teacher should be able to answer why they are using the tool. In fact I would argue knowing your purpose (outside of everyone else is doing it)makes identifying the steps to the outcome so much easier. How do you think we can communicate purpose as well as benefits? You’re right – it is easy to get overwhelmed so I often tell teachers to start small and just implement one tool. Good point about purpose. I encourage all teachers to use this as their starting point. What do you want to do? Not, what can I do with this tool? This is a really important message to keep pushing I think! Excellent post! I have found that over my short teaching career so many people are using lack of technology or resources as excuses. Instead of embracing what you have to work with and adapting it to enhance your teaching. We are lucky enough to have access to such fantastic technology this year iPads, iPod touches, MacBook Pros net books to name a few. The most important thing now is finding out and trying new tools that will provide the kids with stimulating material that helps them become better learners. Thanks for your comment. You’re right about using what you’ve got. You are so lucky to have so much great technology this year! It must be very exciting for you and the students. I’ve been in very varied situations from having 4 very unreliable PCs for 26 kids to having a 1:2 netbook program with a few iDevices as well. You just have to keep trying to embrace what you have! This is a terrific post and will start the agitation of the grey cells. for years I’ve talked with my children about the “Q-Word” Ross Mannell’s a clever guy and says what I’d like to say, but better. However I do think there are times when quantity comes to the fore. When there are no comments, or just a few comments being left on the blog, one loses momentum. It’s as though there is a critical mass of activity required. I think a performer would generally choose a larger audience, so maybe knowing that the audience is significant in size gives one type of encouragement and the quality observations and interactions give encouragement depth. Rich friendships based on generosity and mutual support are of course something that IT now offers to everyone with the technology. It’s a lovely post Kathleen. By the way if someone visited my blog http://www.hawesps.posterous.com from Nevada or Delaware, I wouldn’t care if they left no comment! … the little boy in me so much wants a full set of flags 🙂 When I look around my school there are a lot of young people, who perhaps just get encouraged by something simple, sometimes. Thanks for your comment. Yes, Ross certainly has a way with words! You’re definitely right about some level of quantity being important. When I first started blogging with my students in 2008, we received very few comments the full benefits of blogging couldn’t be achieved. 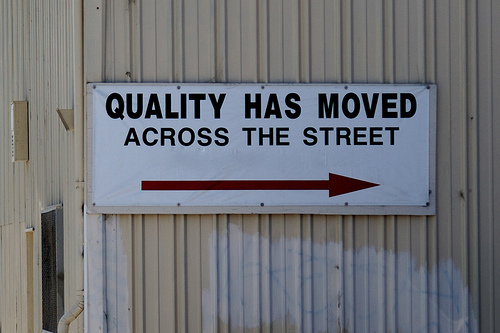 I guess when you reach a certain quantity, you can start focussing on quality to some extent. I hope someone from Nevada or Delaware can visit your blog soon! It’s fun to reach goals like that. These are great thoughts! I always enjoy reading your tweets and posts. The comments are as interesting as the posts, which speaks highly of the readers you inspire! What a great topic! I enjoyed reading your thoughts and the contributions of your readers. When my students look at a blog post, they evaluate very quickly based on the number of comments. The more comments, the better. Period. Sometimes, I notice that they’re not even reading the comments because they are so busy counting! Numbers are exciting, and they can tell a bit about the post, but I am constantly redirecting my students to evaluate what is being said and to identify quality. Yes, there can be a lot of comments, but is there anything new being offered? Are people repeating themselves? Quality comments can get lost in the shuffle. Identifying quality writing takes high level thinking, especially for young bloggers, but I think this evaluation process is an important element of blogging. I’m certainly not saying you can’t celebrate successful posts, you should! But, if your dial is set for quality, the comments and readership will grow. David’s comment about a lack of audience is quite true as well. It can be so discouraging to publish something…and get little or no response. It is hard to stay motivated. When this happens in our class, and the students are disappointed, I ask them….”Well, where did you leave your last comment?” Sheepishly, many confess they haven’t left any. Quantity: zero. Students need to be shown that commenting is reciprocal. You’ve got to give to get. Okay, I think I’ve hit my quantity limit. Time to submit! Thanks for another thoughtful post, Kathleen! I always enjoy learning with you. You always offer such words of wisdom. I too have sometimes noticed students not reading comments but just checking to see how many there are! I think as a teacher it is our job to constantly strive for quality and you have taught me a lot about that. That sheepish looks from the students who take but don’t give is all too familiar to me too. It’s a very important part of being part of the blogging community – or any community! One of the great things about involving quantity in blogs is that it allows for such authentic exploration of maths. Take the ClustrMap for example. I know you and I both enjoy using this as a teaching tool in our classroom. If the numbers didn’t tick over, the stimulus for learning wouldn’t be as great. Thanks for your great comment, Linda. Outstanding post Kathleen, thought provoking and challenging as always. It is so easy to get caught up in ‘tech-envy’ where other schools appear to have more devices or someone is running 5 class blogs and seem to balance all the global collaboration so easily. This just distracts us from the real issues with our learners – keeping it real in the classroom and providing quality programmes that nurture learners and foster learning. Keep writing the great posts – awesome! Yes, it sure is easy to get tech envy. And it’s easy to get caught in the cycle of think you always need to do more, more, more rather than improve what you’re doing. I appreciate your support and hope to hear from you again! I think sometimes I forget this with my own blog posts. I try to stick to a publishing schedule to avoid procrastination and to develop my writing, but sometimes I forget it is not all about pumping out half written posts but sharing deep ideas.